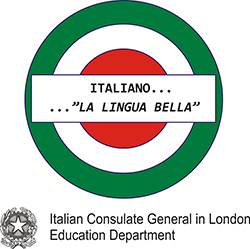 THE LANGUAGE MAGICIAN is an online game for primary students who are learning a language, as well as a tool to help teachers gathering data about their students’ achievements in language learning, with content based on learning standards from across Europe. Children using THE LANGUAGE MAGICIAN will be able to play an entertaining game without realizing that they are being tested. Teacher Dashboard: https://teacher.thelanguagemagician.net/. After registration, teachers will receive a code to log in within the next 24 hours. Create a session on the teacher dashboard, choose Level 1, recommended for students with fewer hours of foreign language tuition, or Level 2 for those with more hours of language tuition. Then use the 4 letter code generated for students to log in. Open the game on a tablet or in the browser and enter the code to join a session with nicknames to start the game. Start the session on the teacher dashboard. Students play the game on the tablet or in the browser. For more details on how to access the game and start playing, please watch our TUTORIAL. 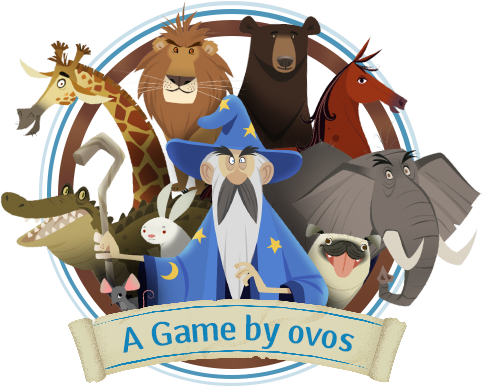 Students will immerse themselves in a beautiful interface where they will have to confront an evil magician called Winivil and free the animals that he has imprisoned in his tower. The game contains high quality graphics, music and sound effects that, together with a thrilling story and activities, will drag students into a magic world in which they will completely lose track of time. The story begins on a farm where the young magicians live happily with their animals. Then an envious evil magician decides to steal the animals, lock them in his high tower and turn them into door knockers. Students personalized into magician avatars will enter the tower in order to free the animals by using their magic. Inside the tower students will play against Winivil, overcoming different linguistic challenges in the form of fun tasks and will collect elements of a magic spell in order to liberate the animals from the evil magician. From the Farm to the Tower Entrance and then on the different floors of the tower, students will solve the tasks that will test different language skills. At the Farm and the Entrance students will solve tasks related to listening and reading skills. On the Kitchen, Library, Laboratory and Observatory floors they will continue playing against Winivil by solving reading, comprehension and writing activities as well as solving tasks that test integrated language skills. As long as students make progress through the different floors, the level of difficulty will increase, providing fun and challenges at the same time. Students who finish all the tasks early will find additional activities at the end of the game to enjoy until the 35 minutes have run out. When the final floor has been reached, children will have Winivil’s hat in their power and the evil magician will be defeated! Winivil manages to get his magic hat back and with this his powerful magic. Animals are turned into door knockers once again and students will embark on a new adventure to liberate the animals. This time the young magicians will play against the evil magician and will do their best to solve the tasks and puzzles included in the game. A new set of activities with noticeable improvements in terms of graphics, quality of integrated skills such as grouping words by categories, listening and comprehension activities, and a set of more varied writing tasks have been included in Level 2. Students will have to face challenging tasks according to their higher language level and finally, students who have completed all the floors in the game will get Winivil’s hat back and make his evil magic disappear once and for all. Both Levels of the game have a wide range of possibilities, providing enough randomized answers in case the game needs to be repeated more than once a year.